The makeup you wear everyday can have a huge impact on your skin’s health and appearance. High-quality makeup can enhance your natural beauty, add a youthful glow to your complexion and even help strengthen and protect your skin over time. Low-quality makeup can clog pores, exacerbate conditions, such as acne and rosacea, and irritate skin. Keep reading to learn which ingredients to look for when choosing your makeup, as well as some of Dr. Schlessinger’s favorite products to suggest to patients. Dermatologists, like Dr. Joel Schlessinger, recommend mineral-based makeup. Overall, dermatologists recommend mineral-based makeup for optimal skin health. Mineral makeup contains natural minerals mined from the earth and very few additional ingredients. Titanium dioxide, zinc oxide, ultramarine and iron oxides are among the most common minerals used in these products, and each is known to protect skin against free radical damage. Titanium dioxide and zinc oxide, for example, are two active physical sunscreen ingredients, so when you wear a mineral-based foundation, you automatically receive a little sun protection. These minerals may also help protect skin against signs of aging. Another benefit of mineral makeup is that it remains on top of the skin. Not only does this create a beautiful “second skin” effect and a more natural finish, it also means that products will not clog pores or irritate skin conditions. While the majority of mineral products are pressed or loose powder, there are plenty of liquid options available. You can also find eyeshadows, blushes, bronzers, finishing powders, concealers and more, making it easy to form an entire routine that’s good for your skin. Dr. Joel Schlessinger explains how to build a mineral makeup routine. A LovelySkin customer favorite, jane iredale PurePressed Base Mineral Foundation SPF 20 is a lightweight formula that offers medium to full coverage with titanium dioxide and zinc oxide. It also features antioxidants, like algae extract, to help diminish signs of aging and protect the skin against environmental stressors. The powder’s matte finish helps reduce the look of shine and promote a balanced complexion. If you prefer a liquid formula, try Oxygenetix Oxygenating Foundation. This safe, breathable foundation is gentle enough for those with acne, eczema, rosacea, psoriasis and injuries. It features advanced technology that works to deliver oxygen to the skin and encourage healing and healthy collagen production, all while creating a flawless complexion. The water-resistant formula stays put through swimming and perspiring and it offers an SPF of 25.
glo minerals offers a wide selection of mineral blushes, bronzers and highlighters in both cream and powder forms that contain green tea, plus vitamins A,C and E for antioxidant protection. Each offers high color pay-off and a beautifully natural finish. Pick up GloBlush, the Contour Kit and the GloShimmer Brick to complete your face routine. If you have sensitive eyes, you’ll want to stay away from makeup that contains artificial dyes, fragrance and preservatives. Dr. Schlessinger recommends Mirabella Eye Colour Matte for a gentle eyeshadow, Dr. Hauschka Eyeliner Liquid and jane iredale PureLash Lengthening Mascara. There is no such thing as makeup that works for everyone, says Dr. Joel Schlessinger. Remember, even though these formulas are the preferred choice among dermatologists, there is no makeup that is right for everyone. Allergies to mineral ingredients are rare, but they do exist, and just because a product claims to be mineral-based doesn’t mean that it is free of parabens, fragrance, oil or other known irritants. Always check labels for a full list of ingredients to be sure you’re using the best products for your needs and skin type. You’ll also want to be sure to remove your makeup thoroughly at the end of every day to prevent irritation. A wonderful solution for all skin types is glo minerals GloEye Make Up Remover, a liquid that is soothing to the skin and gentle enough to use on the entire face. To prevent the spread of bacteria, wash your makeup brushes weekly with a special cleanser, like jane iredale Pure Shampoo & Conditioner. Do you have a question for Dr. Schlessinger about the best makeup for your skin? Let us know in the comments below. Early last week, news broke of a woman in Australia who was left paralyzed after she contracted a dangerous infection from borrowing a friend’s makeup brush. Her infection was caused by an antibiotic-resistant strain of staph called MRSA. In light of this recent event, Joel Schlessinger MD highlights the dangers of sharing makeup brushes. Many people don’t understand the risks of sharing makeup brushes and cosmetics, Joel Schlessinger MD. Sharing makeup tools can spread harmful bacteria and infections. Everyone has bacteria that sit on the skin’s surface. 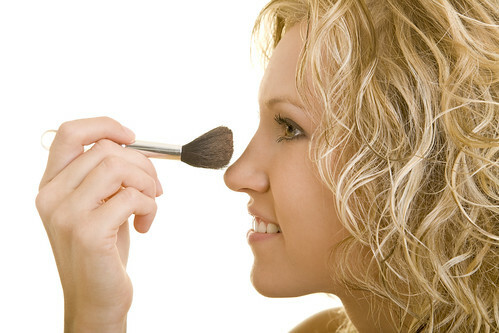 When you apply makeup every day, these bacteria are transferred onto the brush and end up contaminating your cosmetics. While these bacteria may not be harmful to you, they could be hazardous to your friend’s health. Staph infections are often mistaken for acne breakouts, Joel Schlessinger MD explains. Approximately one-third of the population carries the staph infection, many times without showing any symptoms. Staph bacteria can cause rashes, redness, blisters, tenderness and swelling. Joel Schlessinger MD hopes stories like this will put an end to such a common practice. If you think you’ve been exposed to dangerous bacteria, wash your face and hands immediately. Joel Schlessinger MD recommends washing with CLn Cleanser because it contains bleach, a natural antibacterial agent that eliminates germs and bacteria without the worsening of antibiotic resistance. Do you have a question for Joel Schlessinger MD? Share with us in the comments. Many of us have opened products in our drawers and cabinets that we purchased months or even years ago. It’s natural to want to hold onto a pricey product, or one that we think may come in handy someday. However, much like the jars and cans in your kitchen, skin care and cosmetics have a shelf-life, and applying products past their suggested use-by date could potentially harm your skin. Once a container has been opened and exposed to air, the product begins to oxidize, and bacteria will naturally begin to spread. Though many products include preservatives to help combat bacteria, after a time, the amount of bacteria will grow too large, and the effects of the preservative will dwindle. Once bacteria contaminates the face, it can cause breakouts, disrupt the skin’s natural balance and exacerbate other skin issues. Active ingredients can become more potent over time, says Dr. Joel Schlessinger. In addition, certain active ingredients like retinol and glycolic acid may become more potent over time. This can cause irritation, dryness and allergic reaction in the form of a rash. Unstable anti-aging ingredients, such as the vitamin C found in many serums, can break down quickly when exposed to air, rendering the formula ineffective and potentially irritating to the skin. Similarly, sunscreen actives break down over three to five months once opened and lose their ability to protect the skin from harmful UVA and UVB rays. In the United States, expiration dates for skin care and makeup are not necessary for certain products. You’ll find dates on products with potent active ingredients (namely sunscreen and acne treatments), but you will rarely find them on other types of products. Many companies are choosing to include a use-by date or manufacturing date on their packaging for your convenience, but it is not a requirement and it can vary as to usefulness. This is why it is important to understand the shelf-life of various types of products. Dr. Joel Schlessinger suggests replacing makeup regularly to avoid bacteria. Though not every product comes with an expiration date, there are definitive guidelines for a product’s shelf life. When it comes to cosmetics, be especially cautious with eye makeup and any products with packaging that is reached into with fingers. Eyeliner and mascara, the two products that are applied closest to the eye and tear duct, have the most potential to cause a bacterial infection of the eye. Mascara should be discarded after about three months, along with liquid and gel eyeliners. Eyeliner pencils may last anywhere from six months to two years. 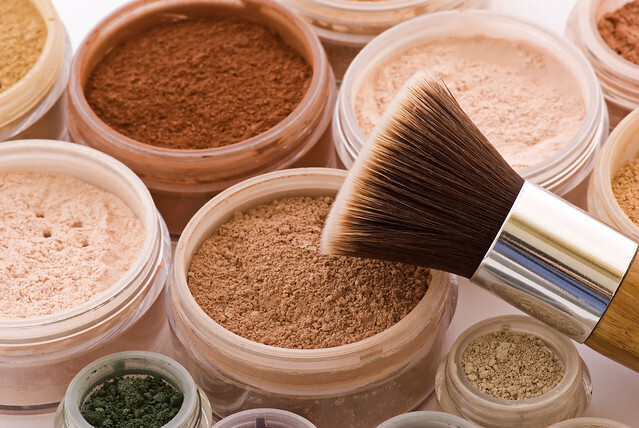 Powder cosmetics have a longer shelf-life than liquids because bacteria typically need water in order to thrive. Powder eye shadows and foundations should be good for two years. Liquid concealers and foundations last from six months to a year. Lip liners and lipsticks last for two to three years. Dr. Joel Schlessinger recommends Klix brushes to ensure that you always have a clean brush on hand. Old cosmetics aren’t the only culprit for harboring bacteria. If they are not cleaned regularly, your makeup brushes can trap dirt, oil, dead skin cells and bacteria, contaminating the face and exacerbating acne. Brushes should be cleaned as often as possible. If you’re short on time, Klix brushes are the perfect solution. These face brushes are the only tools on the market that come complete with removable heads. Available in powder, blush and concealer brush varieties, you can simply click on a new one without replacing your entire brush. Purchase replacement heads separately for your convenience, and place a new one on daily to assure that you always have a clean brush on hand. This will help keep bacteria out of your makeup as well. Dr. Joel Schlessinger shares advice for keeping track of product use-by dates. Cleansers, moisturizers and sunscreens last about a year after opening. Serums last from six months to a year, depending upon active ingredients. Acne spot treatments can last up to two years. Remember that if a skin care product changes color or texture or develops a foul odor, throw it away. And keep in mind that many natural or organic skin care companies choose to leave preservatives out of their formulas, making shelf-life even shorter. Keeping track of your products can be difficult. I recommend writing the date you opened the product on the container in permanent marker. This way, you won’t have to guess just when it’s time to let it go. Do you have a question for Dr. Joel Schlessinger about expired products? Let us know in the comments section. The type of makeup you choose can have a powerful impact on your complexion. Using the best makeup for your skin type and tone can enhance your natural beauty, improve your skin’s health and even make you appear younger. The wrong kind of makeup can clog pores, cause irritation and undo the results of your skin care regimen. Though there are countless categories and subcategories for makeup, it is generally divided into just two: mineral and non-mineral. Dr. Joel Schlessinger explains titanium dioxide and other mineral ingredients. True mineral makeup contains natural minerals mined from the earth and little else. Common mineral ingredients include zinc oxide, titanium dioxide, iron oxide and ultramarine. These minerals can contain antioxidants with anti-aging benefits that help protect the skin against free radical damage. Titanium dioxide, for example, is a natural sun-deflector, and is often among the active ingredients in physical sunscreens. If you choose a mineral makeup that contains titanium dioxide, you automatically receive a little sun protection, though it’s always best to use additional sunscreen with your mineral makeup regardless of the SPF it boasts. Dr. Joel Schlessinger encourages patients with sensitive or acne-prone skin to choose mineral makeup. Mineral makeup is designed to remain on the skin’s surface, creating a natural barrier against environmental stressors. Some argue that this “second skin” effect makes for a beautiful, more natural finish. Because it stays on top of the skin, mineral makeup won’t clog pores, making it a great option for those who are prone to acne. It can come in liquid form, but pressed or loose powders are more common. 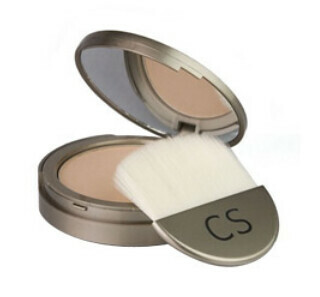 The powders often provide a matte finish, another attractive aspect for oily skin types. At LovelySkin, we recommend jane iredale Amazing Base Loose Minerals SPF 20. This loose mineral powder offers a short, skin-health-promoting ingredient list with SPF and anti-aging benefits. It’s a customer favorite for its lightweight coverage and natural finish. Non-mineral makeup is generally not recommended by Dr. Joel Schlessinger and other dermatologists. Non-mineral makeups may contain a long list of ingredients with harsh chemicals, dyes, fragrance and preservatives. These ingredients are known irritants for many. It usually contains no anti-aging benefits, though some non-mineral foundations offer SPF. Many non-mineral formulas are liquid, and far more likely to soak into the skin, clogging pores and exacerbating acne. They also often contain oil, which can cause a disruption in the skin’s natural balance. Dr. Schlessinger and other dermatologists recommend that patients, especially those with sensitive or acne prone skin, steer clear of non-mineral makeups to avoid irritation and breakouts. Still, there are liquid foundations on the market that do promote skin health without featuring exclusively mineral ingredients. Oxygenetix Oxygenating Foundation uses advanced technology to provide continuous oxygen to the skin cells, allowing them to breathe, heal and stimulate collagen growth. There is no product that’s right for everyone, Dr. Joel Schlessinger cautions. It’s important to note that even though mineral makeup is the preferred choice among dermatologists, there is no makeup formula that is right for everyone. Some patients have found that they have allergic reactions or breakouts in response to minerals just as others have reactions to the chemical ingredients found in non-mineral makeup. Also, just because a product purports to be mineral-based, doesn’t mean that it is also free of fragrance, chemicals, preservatives or other ingredients you may find unsavory. Always check labels and ingredient lists to be sure you’re using the best products for your needs and skin type. Do you have a question for Dr. Schlessinger about mineral or non-mineral makeup? Let us know in the comments below. According to Joel Schlessinger MD, mineral makeup is the best choice for healthy skin. Many consumers are taking the time to check the ingredient labels of their skin care products to avoid using harmful formulas that aggravate their skin. Checking the labels of your cosmetics is another way to prevent irritation and maintain a healthy complexion. Mineral makeup products feature gentle formulas that nourish and protect skin. In this presentation, Joel Schlessinger MD discusses the benefits of switching to mineral cosmetics. One of the main advantages of minerals is that they are non-comedogenic so they will not clog pores. This is ideal for anyone who suffers from acne, rosacea or other skin conditions that aggravate and inflame the complexion. Non-mineral cosmetics often contain harsh ingredients, explains Joel Schlessinger MD. Lipsticks, foundations, mascaras and eyeliners from the drugstore often contain additives and preservatives. Oils, waxes, fragrances and dyes in these products can irritate sensitive skin and cause cosmetics to feel heavy on the complexion. These formulas clog pores and prevent oxygen from reaching cells, which can cause irritating skin symptoms to worsen. Mineral makeup is made with natural ingredients including iron oxides, zinc oxide and titanium dioxide. These minerals are finely milled to create lightweight formulas that provide even coverage. Joel Schlessinger MD recommends his favorite mineral makeup brands. Mineral cosmetics are ideal for all skin types and tones. The natural ingredients nourish skin and often provide protection against both UV rays and free radicals. jane iredale is a makeup line that uses high-quality ingredients to create foundations, concealers and other products that benefit the complexion. Another top brand is Colorescience, which makes an entire line of sun protection products formulated with natural minerals for advanced defense against UV rays. Popular gel manicures may pose certain risks, explains Dr. Joel Schlessinger. According to an article from the Washington Times, gel manicures are becoming more and more popular among women. During this process, the polish is applied to natural nails, avoiding the need for damaging and uncomfortable acrylic nails. This more durable and quick-drying manicure is even popular with Nancy Schlessinger, wife of Dr. Joel Schlessinger. “It’s a hybrid product, not a gel but a cross between nail polish and gel,” said Nancy. This makes the finish last longer without chipping or fading. While getting gel manicures can save time and money, having them done regularly can pose serious health risks according to Dr. Joel Schlessinger. UV drying devices used during gel manicures can cause skin cancer, reveals Dr. Joel Schlessinger. After the polish is applied, many salons use UV light devices to dry the nails. The special blend of polish and gel requires UV light to set and solidify the manicure and prevent smudging. According to Dr. Joel Schlessinger, these lamps increase an individual’s risk of contracting skin cancer on the hands and feet. Read more about this risk and other nail salon dangers in Dr. Joel Schlessinger’s blog article. Dr. Joel Schlessinger explains how to protect yourself against skin cancer risks at the salon. Dr. Joel Schlessinger advocates using LED lamps rather than UV lamps to dry your gel manicure. These devices do not emit ultraviolet radiation so there is no risk of skin damage. Look for salons that use these risk-free drying devices rather than UV light machines. If your salon does use UV lamps, Dr. Joel Schlessinger recommends applying sunscreen to your hands or feet prior to your appointment as Nancy does. This can help protect against ultraviolet rays and minimize your risk of skin cancer. 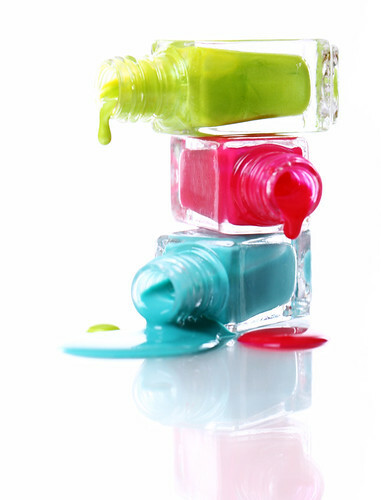 Do you have questions about the risks of gel manicures? Ask Dr. Joel Schlessinger in the comment section below. Dr. Joel Schlessinger performs cosmetic surgery daily at Skin Specialists PC. One of the most popular procedures is wrinkle-relaxing injections such as Botox, Dysport or Xeomin and wrinkle fillers like Restylane and Perlane. However, many patients are skeptical about the use of cosmetic injections and how long they will last. Many people want to know why use fillers and wrinkle relaxers when you can get a permanent facelift? Injections like Botox, Dysport and Xeomin temporarily improve the appearance of frown lines, wrinkles and other areas in the face. It leaves the skin appearing smooth and youthful. Results can last up to six months before another injection may be needed. Other injections like Restylane and Perlane fill in lines and wrinkles, leaving the skin looking youthful and smooth. With permanent plastic surgeries like a facelift, the skin is pulled tight across the face to limit the appearance of sagging and wrinkles in the skin. The results are dramatic and long-lasting, but as Dr. Joel Schlessinger pointed out, this can leave your face looking unnatural. “Many times, a facelift is the only option if people go too long without injections, but the new paradigm is to treat early so you can avoid the cost, risk and significant alteration of your appearance,” said Dr. Joel Schlessinger. “Botox, Dysport and Xeomin as well as fillers like Restylane and Perlane provide a much more natural appearance and they can be adjusted over time, which leads to a much more graceful way of aging,” said Joel Schlessinger. Set up a consultation today at Skin Specialists PC and determine if cosmetic injections are right for you. Ask Dr. Joel Schlessinger: how often should I change makeup brushes? Most women use makeup brushes every day to apply their foundation, blush, eye makeup and more. With time and continued use, these brushes will begin to age. 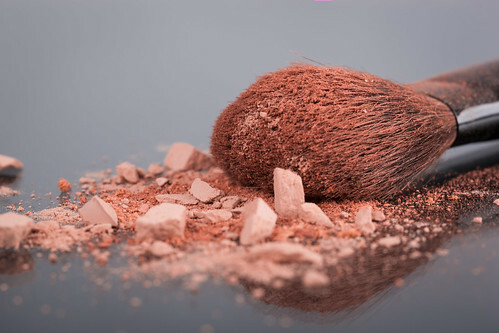 Some makeup brushes will wear out faster than others depending on the brand and the quality of the brush. 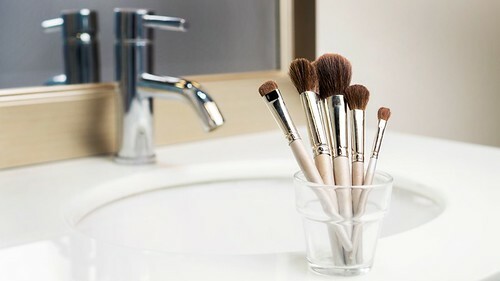 Plus, makeup brushes can carry hoards of bacteria if they are not cleaned regularly or stored properly and the bacteria can cause serious damage to the skin, including rashes, breakouts and acne flare-ups. To avoid excessive bacteria growth, Dr. Joel Schlessinger recommends cleaning your makeup brushes at a minimum of once per month. Use a makeup brush cleaner like Colorescience Pro Brush Cleaner to cleanse and purify your brushes. This will help rid the brushes of bacteria while giving you better makeup application. Allow your brushes to air dry and store them in a rolled-up storage bag or in a makeup container with the bristles pointing upward. Keep your brushes out of direct sun light and away from heat. Even clean makeup brushes, though, can deteriorate over time. Plus, most brushes have a definite shape to help contour and define the placement of makeup; with constant use or heavy pressure, the shape of makeup brushes can be altered, giving poor makeup application. With age, the bristles may begin to fall out of the brush, as well. These indications mean it is time to get a new brush. Dr. Joel Schlessinger recommends using Klix disposable brush kits to change your makeup brushes quickly. When your Klix brushes become dirty, simply pop off and dispose of the brush head and replace with a new one – it’s that simple! Klix brushes give smooth makeup application and keep your skin fresh and clean. Use Klix brushes to take the hard work out of cleaning your makeup brushes. For healthy skin, remember to clean your brushes regularly and/or replace them often. You’ll notice clearer skin and a more uniform makeup application when you use clean makeup brushes. Ask Dr. Joel Schessinger: what is the best makeup? There are hundreds of options in makeup, but which type is best? Dr. Joel Schlessinger says that it comes down to personal preference, but his patients and customers tend to prefer mineral based makeup. “Mineral cosmetics tend to cause fewer problems with acne and it goes on with a nice finish. Natural mineral makeup is a fast growing segment of makeup, as it is usually made from natural ingredients and works on all skin types,” the doctor says. The ingredients in mineral cosmetics are just that – minerals. The minerals are usually finely milled to provide a uniform coverage over your skin. Many mineral cosmetics also contain titanium dioxide and zinc oxide, two physical sun blocks to protect your skin from environmental damage. Often with mineral cosmetics, it’s not what’s included in the makeup but, rather, what’s left out. Most mineral makeup is natural, meaning it’s free of preservatives, parabens, artificial dyes and fragrances. Because of these key properties, mineral cosmetics are less likely to irritate sensitive skin. Natural mineral makeup is the best choice for extremely sensitive skin. It can be applied over skin conditions such as acne, rosacea, psoriasis and more without causing irritation or harmful side effects. Natural mineral makeup is also a great alternative to traditional makeup for those who are environmentally conscious as it contains no harmful chemicals that can damage the environment. Mineral makeup began with loose mineral foundations and has spread to include eyeshadows, primers, concealers, lipsticks, blushes and more. You can find mineral based alternatives to all traditional makeup products. The best mineral makeup protects your skin as it covers. For a fun look at the history of minerals in makeup, see the article “Makeup – A Wealth of Minerals” written by USBM Denver Research Center geologists, Donna Boreck and Liane Kadnuck. What are your favorite mineral makeup products? Dr. Joel Schlessinger is proudly powered by WordPress.